Reservations are accepted for weekday lunch & dinner through OpenTable. For groups of 5 people or more, please email holla@novysf.com or call 415-829-8383. We do not accept reservations for Saturday & Sunday brunch. Our outdoor tables are seated on a first come-first serve basis. All of our Beer & Wine is on tap to do our part in eliminating waste and to provide more affordable prices. Offered by the glass, half carafe and full carafe. NOVY is a Greek restaurant in the San Francisco Noe Valley district. We are a family-owned and woman-run business. NOVY is our nickname for Noe Valley. We're a neighborhood restaurant serving Greek food alongside fresh California comfort food. In 1977, John Gianaras purchased the L&F Corner Market and turned it into a casual dining restaurant named Panos’ (after his father.) In 1988, newlyweds John and Vi expanded and remodeled the space into a fine-dining Greek restaurant. They operated the ever-popular Panos' for a total of 20 years. Flash-forward 17 years... the Gianaras family has reclaimed the space, with daughters Kristen and Kathryn running the show. 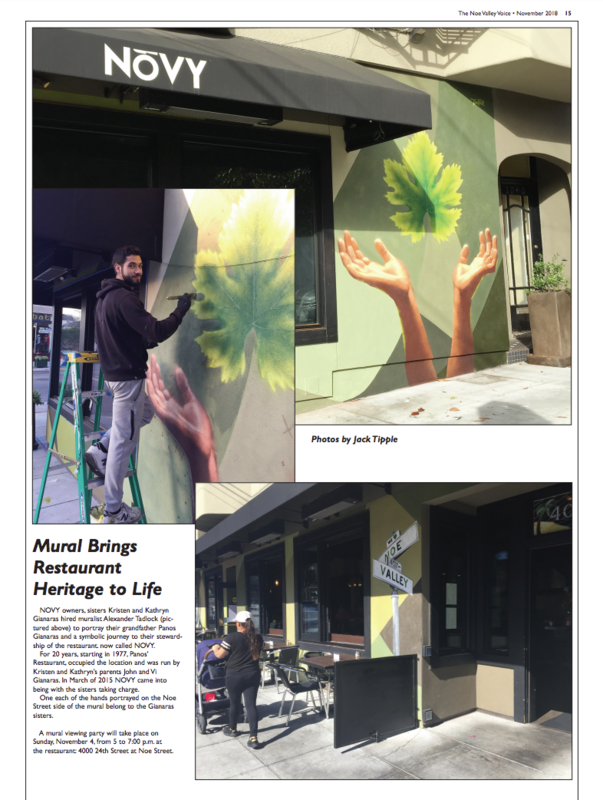 This time around, NOVY offers Greek food and California classics in a more relaxed atmosphere. All of our beer & wine is on tap to do our part in eliminating waste. 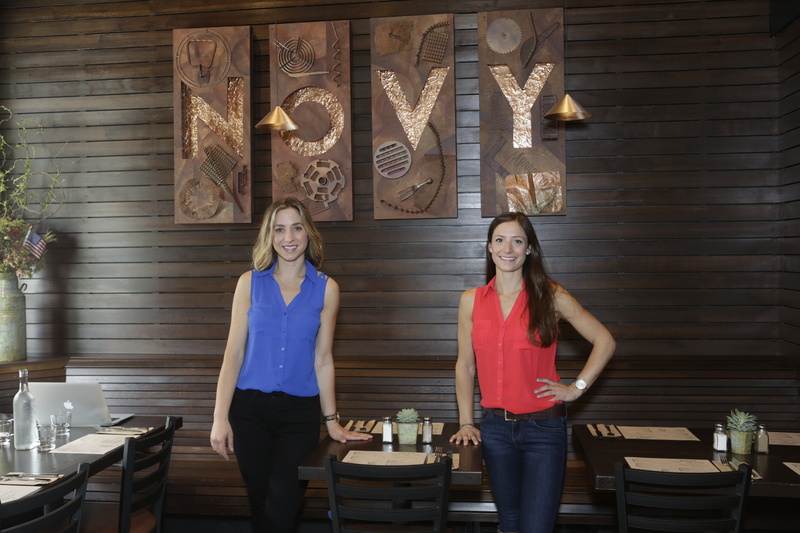 NOVY, our nickname for Noe Valley, is again a family-owned and woman-owned business that strives to provide a personal and delicious dining experience in a polished setting. Questions? Comments? Fill out the contact form to get in touch with us. We love hearing from you!